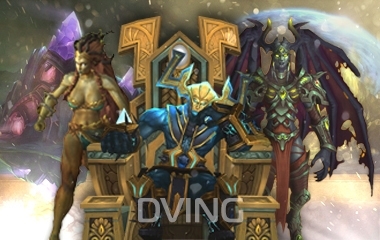 Kill of 11 bosses in Antorus The Burning Throne in heroic mode with personal loot. You can also choose options: selfplay, masterloot, or exact boss kill (ask operator). Item level of heroic difficulty drop is 945+ . Warforged (+5) and titanforge (+15) items exist if you are lucky. Personal Loot - Kill 11 bosses in heroic mode with personal loot. Master loot - Kill 11 bosses in heroic mode with master loot. Guaranteed 7 items with "Master loot option". Master loot means you will obtain all items for your class and spec, dropped during raid, including warforged and titanforged items. In this case you will obtain much more items. This is really good for those who wants to equip your char as fast as possible. artifact relics priority - When you order standard masterloot, relics are rolled between your character and 1-2 another customers (if nobody else bought priority); but for a little extra payment you will have them for sure; you have to order masterloot, if you choose this option. tier tokens priority - When you order standard masterloot, tier tokens are rolled between your character and 1-2 another customers (if nobody else bought priority); but for a little extra payment you will have them for sure; you have to order masterloot, if you choose this option. Selfplay - name talks for itself, you can take part in the raid without accsharing. Price is higher because of higher risk chances for raid. After reservation raid for your character refund are not possible. Contact our operators for details, and we'll answer all your questions.